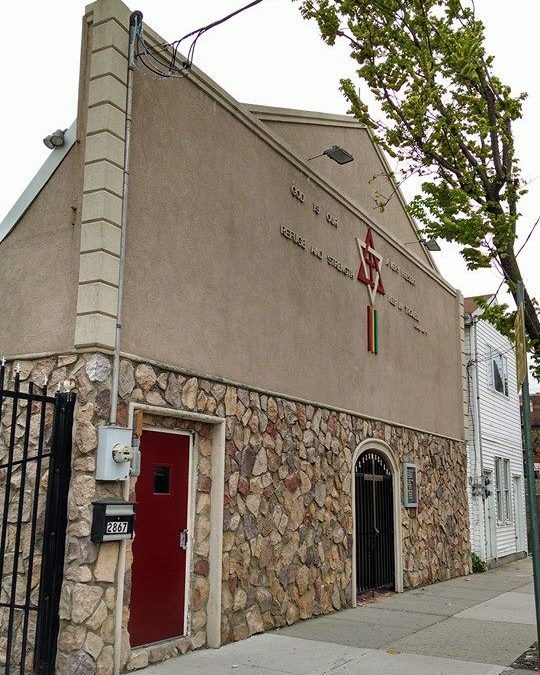 Our trip to New Jersey and New York took us to a church just a block away from Coney Island. We installed new church pews there, and also tried out a new decorative technique with those pews. As custom church pew builders, we have the flexibility to work with churches to create new, special effects just for them. These church pews were custom made for the church near Coney Island. We cut out crosses of the same wood used in the church pew ends to build these beautiful accents. We applied them to the wood with high quality woodworking techniques and a bit of patience. These crosses added a really special touch to this church’s furniture. This is the first time we’ve used this technique of decorating church pews but we know it won’t be the last. 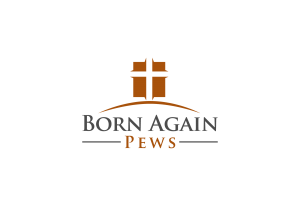 When you’re working with a custom church pew company like Born Again Pews, you can expect a level of service you won’t get elsewhere. If you have an idea and you want to make it a reality, just ask. 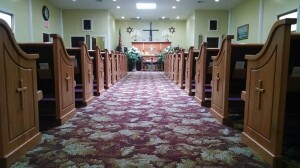 We like to create pews that both meet the needs of your church and express the special character of your congregation. This church looks great with these special reliefs of crosses. Looking down the aisle of the church pews you can really see what the church focuses on in their worship services. By keeping the image of Christ’s sacrifice close to the members of your congregation, you can help them really focus on the reason why they are at church and remind them of Jesus’ life and story. 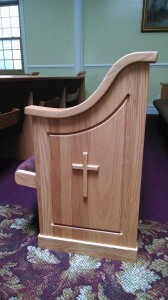 If you have something unique you’d like done with your church pews, be sure to fill out our free quote form to find out if we can help you make that idea become a reality.